The first Australian single to use eye-controlled music technology is released this week. 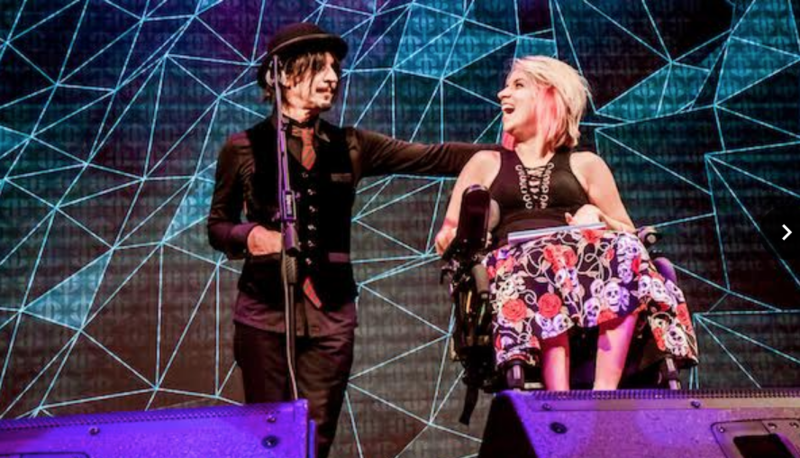 It is a team-up by Sydney based musician and producer Steve Balbi and illustrator, writer, author and musician Jessica Irwin. Irwin has physical limitations due to cerebral palsy, and her mind and eyes are the only things that she has full control over. Balbi has played in, or produced, Noiseworks, Electric Hippies, Little River Band, Juice, Jenny Morris, Pearls & Swine, Toe to Toe, Vincent Stone, Fyre Byrd and Christine Anu, among many others. In 1999, he sat in on vocals and guitar for David Bowie’s Hours sessions with Marius de Vries. Irwin first met Balbi five years ago, after attending one of his gigs. They promised to one day work together. In 2017 she accompanied Balbi at Telstra Vantage, performing live in front of 3,500 people. She says, “I’ve always believed that if you can imagine it, you can achieve it. And I’ve always dreamed of making music. The technology involved was developed by Australian bio-medical engineer Dr Jordan Nguyen and his team at Psykinetic. Atmosphere, the eye-controlled music software, allows people living with high-level physical disability to use only their eyes to make music. The track ‘Winners’, previously on Balbi’s solo album from some years ago, comes with a Psykinetic Mix’ available on digital download and streaming and marks a world first as the first single recorded with the assistance of Atmosphere. Atmosphere has already featured at numerous world-first performances, with Irwin accompanying the Australian Piano Quartet at the Sydney Opera House and TEDx Salon. At 20 years of age, a life-changing accident led Dr Jordan to meet a number of his current friends who inspired a strong belief in human potential. Since then he has worked to create inclusive technologies aimed at improving quality of life and independence for people with disability— 1.4 million Australians (1 in 18) live with severe or profound disability. – through Psykinetic.